Victorian Election plus fun stuff just around the corner! Welcome to the November eNews! The ANTaR AGM was held over the weekend on Wurundjeri country, the election is in sight and more! 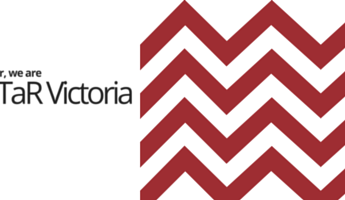 The day was a successful joint event where Reconciliation Victoria also presented their AGM. Afterwards members and guests were treated to entertainment from local Wergaia woman and singer/songwriter Alice Skye, plus a guided spiritual healing trail led by Gunditjmara Elder, Uncle Trevor Gallagher. The AGM was thoroughly enjoyed by all and the new committee was voted in, ready for a strong 2019. Speaking of 2019, get ready early by purchasing one of the now famous Angkitja diaries! Published by IAD Press since 1997, each copy features 26 full-colour plates of Central Australian Aboriginal artworks, maps of art centres and more. Proceeds assist IAD to continue producing language resources for young people. Get yours hereLast but not least, it’s almost time to vote! Don’t forget that the Victorian State Election will be on 24th November, and you must be enrolled to vote by the 6th November. If you haven’t seen ANTaR’s election scorecard yet, check it out here. We’ve analysed all the major parties to find out who’s supporting our First Peoples the most to help you do the same. On Friday, Gunditjmara/Gunai Kurnai MP Lidia Thorpe and other Traditional Owners held a rally to support a 38 Nations structure of the Aboriginal Representative Body which would negotiate the framework for a state wide Treaty. The Victorian Treaty Advancement Commission is yet to release the official model for the Body. A draft model was released in September to receive feedback.